R-1234yf, tabbed the replacement for R-134a, has been in service now for a few years on certain models of vehicles from FCA and GM to several European models. R-1234yf is installed on an estimated 35 million vehicles worldwide. The EU has already banned R-134a as of January 2017, and the U.S. will follow suit by 2020. While most independent shops haven’t had to deal with it yet, you will start seeing it soon, so you should be prepared to service them by getting the right tools. Although some equipment is rated as compatible with both, you will still need a machine that is specific for R-1234yf to recover and recycle the new refrigerant. You will also need to understand the new oil compatibility issues with the R-1234yf and what happens when refrigerants mix. If your shop doesn’t already have one, you should invest in a refrigerant identifier tool. With new technology comes new tools and equipment, and R-1234yf is no different. SAE has set the standards for equipment used to service R-1234yf systems. R-134a service equipment and system components are not interchangeable with R-1234yf systems unless they meet the relevant SAE standards. These systems have a different service port design compared to those designed for R-134a to prevent cross-contamination. According to the EPA, it’s illegal to put R-134a or any other refrigerant into a car that was originally equipped with R-1234yf. It could be considered “emissions tampering” if the manufacturer counts air conditioning credits (use of R-1234yf) toward light-duty, greenhouse gas (LD GHG) compliance. Many R-1234yf systems also use an internal heat exchanger (IHX) not commonly found on R-134a vehicles. The IHX is integral to the low-side system plumbing and improves cooling efficiency. 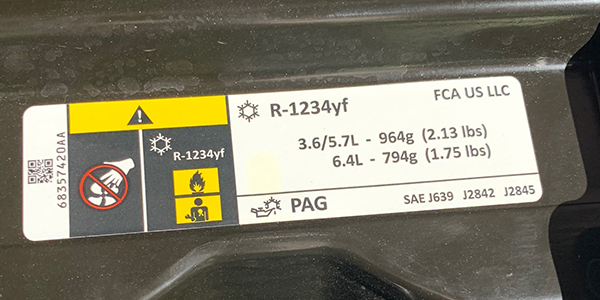 Of course, like other A/C systems, R-1234yf systems will have a unique system label showing the refrigerant type, charge amount, oil type and more. Most vehicle air conditioning systems have two service ports for “high” and “low” pressure, but some may have only one. This will be the same with vehicles using HFO-1234yf, except the difference will be the service ports are different in size, shape and thread pattern. The service ports for R-1234yf still use the protective external caps, but the caps are new and use the new diameter and threads. Your service and test equipment and the refrigerant tanks must have the correct connectors to match and connect to the new ports. Shops will need to purchase new manifold gauges, recovery machines, etc., to service these systems. Before any work is done, you must identify the refrigerant using the correct identifier tool. Refrigerants must be separated to prevent contamination in not only the vehicle, but also in your shop equipment. Mixing refrigerants can cause improper system pressures, component damage, diagnostic errors, and hazards to people and the environment. Check the refrigerant label to learn what should be in the system. Then, connect the identifier to determine what is in the system. A vehicle may have been repaired with incorrect or impure refrigerant during a previous repair. The tool can also check what is in the refrigerant tank. 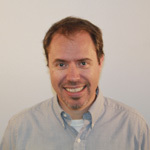 SAE J2843 requires that all recovery/recycle/recharge machines built for use with HFO-1234yf to have either an integrated refrigerant identifier that complies with SAE J2927, or shall be capable of receiving input from a non-integrated, SAE J2912 compliant identifier via an integrated USB port. After you identify the refrigerant, the tool will report the results. Some tools give only a Pass-Fail notification, while others will report the percentages of refrigerant. 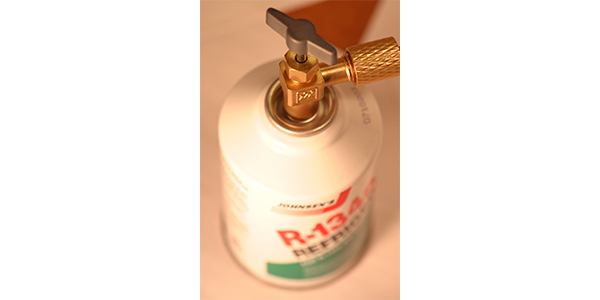 R-1234yf systems use quite a bit less refrigerant than older R-134a systems and are less tolerant of incorrect amounts. With lower system charge amounts for R-1234yf, better system integrity and virtually no leakage, the amount of refrigerant needed won’t be the same as in the past. This could mean that refrigerant “top-offs” are also a thing of the past.